Salgado's free kick laser - his first goal with the club - makes the difference late, as Lights FC picks up three crucial road points. 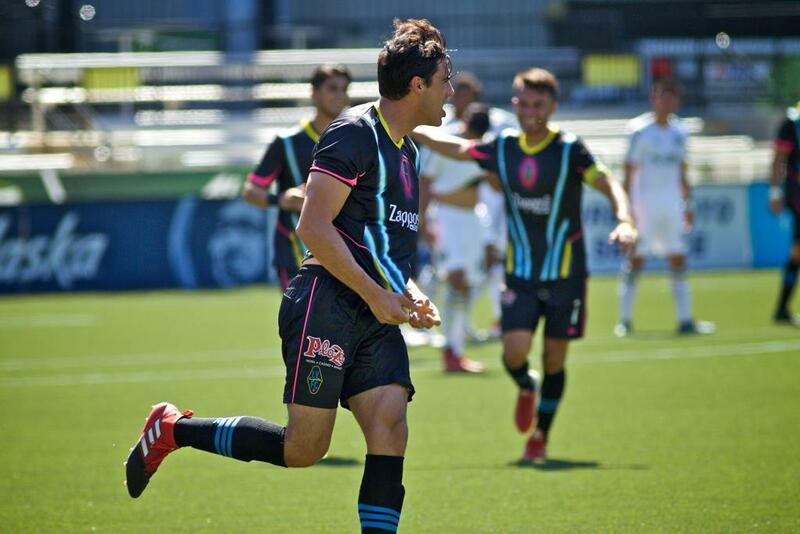 PORTLAND, Ore. – Omar Salgado said earlier in the week that what he wants to deliver in the second half of the season as a midseason transfer for Las Vegas Lights FC is quite simple - goals and wins. On Sunday, his first goal with the club - a 74th minute laser off of a free kick - was the difference in Lights FC earning three crucial points on the road, knocking off Portland Timbers 2 at Providence Park, 2-1. "It feels awesome - I'm really happy about the three points, happy for the team, hopefully we can keep getting more wins," Salgado said. "It felt great to get that first goal, and hopefully I get rolling now. I wanted this, and it's what the team wants. I'm just that much more excited for the rest of the season." Lights FC (6-8-5, 23 points) entered the day eight points outside of the USL Western Conference's Top-8 in the race for a playoff berth, and now finds itself just five points back as it stays in the Pacific Northwest to close out a four-game road stretch. Thursday at 7 p.m., Lights FC will take on Seattle Sounders 2, who it defeated at Cashman Field on June 16, 4-1. That match will air locally on myLVTV.com and stream nationwide on ESPN+. The team took a business-like approach on the training pitch during the week leading up to this crucial 2-match road trip, coming on the heels of a week where it came back empty-handed in two road showdowns in the Midwest. The fruits of that focus were apparent early, as Lights FC's back line set the tone for one of its strongest performances of the summer, absorbing tons of early offensive pressure from Timbers 2 (9-9-2, 29 points). Just eight minutes in, veteran defender Marcelo Alatorre made a huge sliding stop to break up a scoring chance in front of the net. Then, just a minute later, keeper Ricardo Ferriño hit the deck to the make the first of a handful of impressive saves on the afternoon. On the day, Timbers 2 controlled possession for two-thirds of the match, but the teams ended up even in shots (13-13), as Lights FC's patience paid off. Effort also factored in, as despite the discrepancy in possession, Lights FC won 48 of 99 one-on-one duels during the match. "We knew since Monday that this was going to be a tough game, because this was a very disciplined and ordered team, while we are very intense and vertical," Lights FC Head Coach Isidro Sánchez said. "We didn't have a very good start, but most of our problems and troubles today, we solved with one thing - Being together. Being together for 90 minutes was the answer for all of the problems we faced." Offense began to factor in more in the second half of play. Lights FC started things off in the 53rd minute, as captain Carlos Alvarez charged in down the right side, and maneuvered in close through a patch of defenders. He attempted to go high and sneak one under the crossbar, only to see it ricochet clean off. The bounce, though, found forward Sammy Ochoa, who collected with one touch off of his chest, then fired a right-footed shot into the back of the net for a 1-0 lead. It nearly became a 2-0 advantage just three minutes later, when Joseph Patrick Perez nearly buried his first goal with the club on a flying header off of a feed from Daigo Kobayashi. And just seven minutes after that near-miss, Portland threatened to swing all of the momentum for good, as Jack Barmby buried an equalizer in close to make it 1-1. But Lights FC appeared determined to not let the opportunity to take three points slip away. The offensive attack stayed aggressive, and it paid off in the form of Raul Mendiola drawing a foul just outside of the box 10 minutes after Portland tied things up. The result was a free kick, which Salgado - a former No. 1 overall pick in the MLS SuperDraft - took full advantage of. The striker, who entered as a second half sub in just his second match with the club, lined up a look from straight on, and ended up sneaking it through a crease in the wall of Timbers 2 defenders, leaving keeper Kendall McIntosh in a vulnerable position, unable to react quickly enough. "The strategy was going to be just to put it into the wall," Salgado said. "We decided pretty much to just bang it in. I knew they were going to move, I knew that was the perfect spot to put it in. I was just glad it went in." Now, focus immediately shifts to building even more momentum - and the club's point total on the table - Thursday night before returning home for three home matches in August. "We beat Seattle 4-1, but now it's going to be a totally different team that we face this time," Sánchez added. "We have to maintain this for the next game. We need to face it by being humble, not approach it without thinking." Lights FC and Rio Grande Valley run things back in the club's next home match in Downtown Las Vegas on Saturday, August 4, at 8 p.m. at Cashman Field. 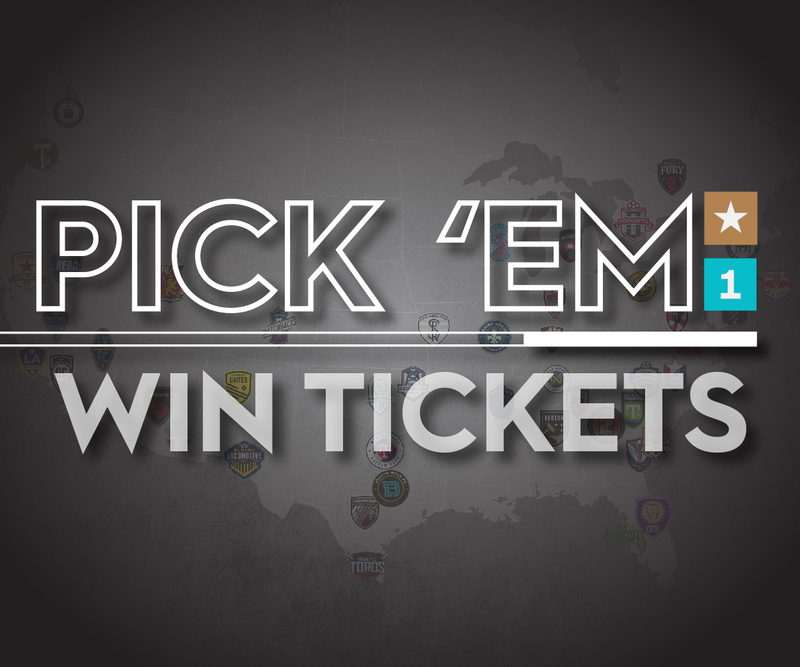 Tickets are available, starting at just $15, at LightsFC.com. The night will also feature free backpacks - courtesy of Boston Dental Group - for the first 2,000 kids 12 and under in attendance. For full details of all special August "Saturday Night Lights" promotions, visit LightsFC.com/August.